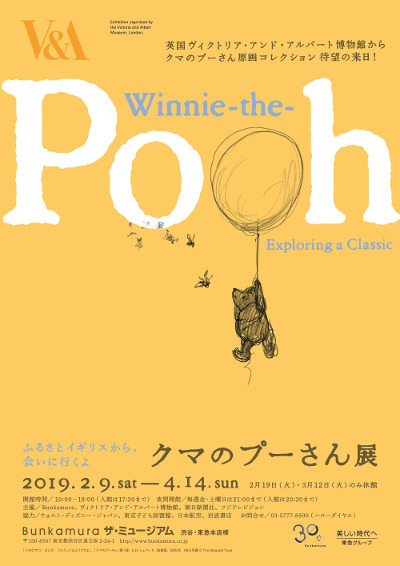 “Winnie-the-Pooh: Exploring a Classic” will be held from February 9th to April 14th, 2019 at the Bunkamura in Shibuya. Winnie-the-Pooh is one of the best-loved and most successful children’s characters of all time. 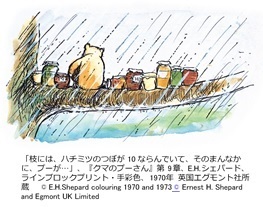 This exhibition explores the fascinating story behind the development of Winnie-the-Pooh and friends through the creative collaboration between author A. 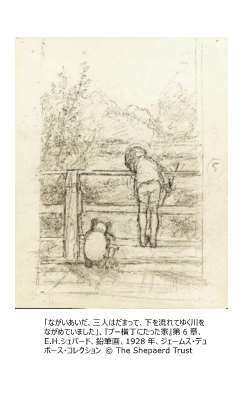 A. Milne and illustrator E. H. Shepard. In addition to the original drawings by Shepard, more than 200 items including valuable materials, photos, letters are displayed. *Every Friday and Saturday until 21:00.